Q: What do I do when I get an error that reads "cannot authenticate to the server",or "a pop up that wants me to put in my username and password"? 1. 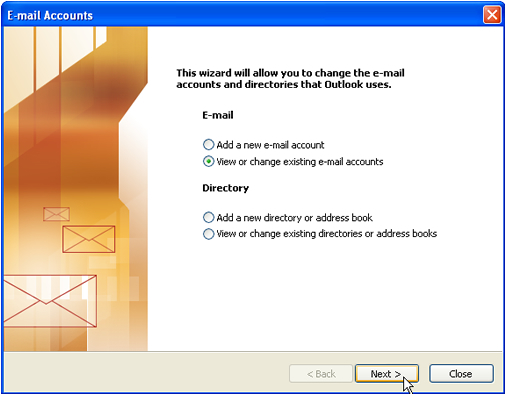 In Outlook 2003, go to the Tools in the top menu, and select E-mail Accounts from the drop down menu. A box will appear called "E-mail Accounts". 2. Once in the E-mail Accounts Selection area you will find an E-mail Area to make a selection. Click next to the "View or change existing e-mail accounts", then click the "Next" button on the bottom. 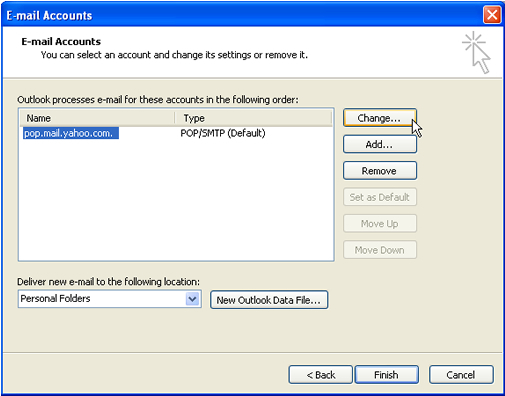 This will open up an other E-mail Accounts dialog box for you. 2. 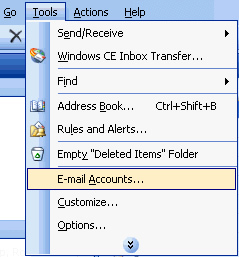 Once in the E-mail Accounts menu find the E-mail that you want check the settings on. You can double click the email name to make the "Properties box" come up or you can single click the name and then click the change button on the left. 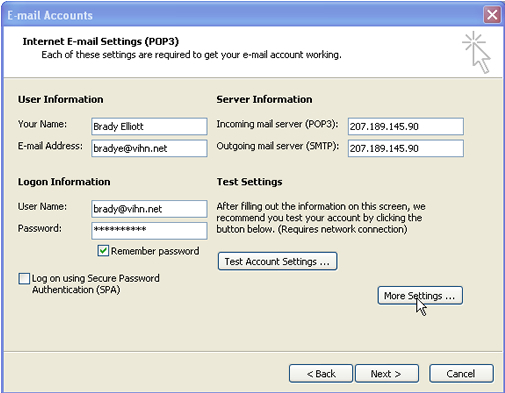 This will put you into the "E-mail Settings (POP3) Box". 4. Once in the E-mail Settings (POP3) You will need to click on the "More Settings" button. This will put you into the "E-mail Settings" box. You will then need to click on "Outgoing Servers". 4. 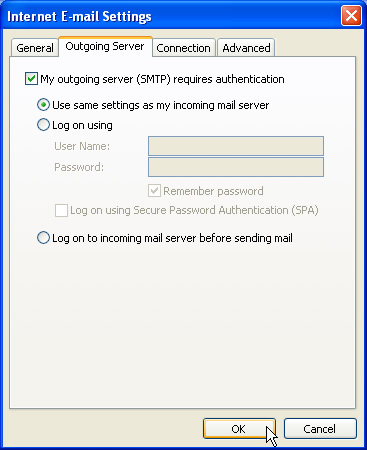 In the "Outgoing Server" area check the "My outgoing server (SMTP) requires aucthentication" and make sure that "Using same settings as my incoming mail server" is check as well. Once these are checked press OK and get back to the main area in Outlook. Click the send and receive icon to see if the error continues. If the error occurs again contact support at 1-866-468-8446. *If you do not know what your Incoming and Outgoing server should be, please call us at 1(866)468-8446.